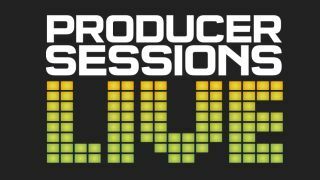 Our massive live event for music producers, Producer Sessions Live, is now little more than a week away. Kicking off on 7 and 8 September at SAE Institute in London and continuing on 28 September at SSR Manchester, it's going to be packed with seminars and masterclasses from pro producers. You'll also have the opportunity to get hands-on with the latest music gear from a range of the biggest companies in the industry. The London event will feature masterclasses from the likes of Nu:Tone, StoneBridge, Rob Papen, Dom Kane and more - check out the Producer Sessions Live schedule for all the details. Producer Sessions Live exhibitors, meanwhile, include Arturia, Ableton, Moog, Universal Audio, FXpansion, Pioneer DJ and Genelec. London ticket holders also have access to the Producer Sessions Live afterparty at Cargo on the evening of Saturday 7 September. This will feature DJ sets from Dom Kane and StoneBridge, and free drinks will be available. For full details and to buy tickets visit the Producer Sessions Live site. Tickets will also be available to buy on the door.